Rocky’s Pizzeria and Ice Cream Shoppe has all your favorite foods, from hand-made pizzas, burgers, ribs, fries, appetizers and more. We proudly serve Hershey’s Ice Cream scoops, shakes, smoothies and even banana splits. 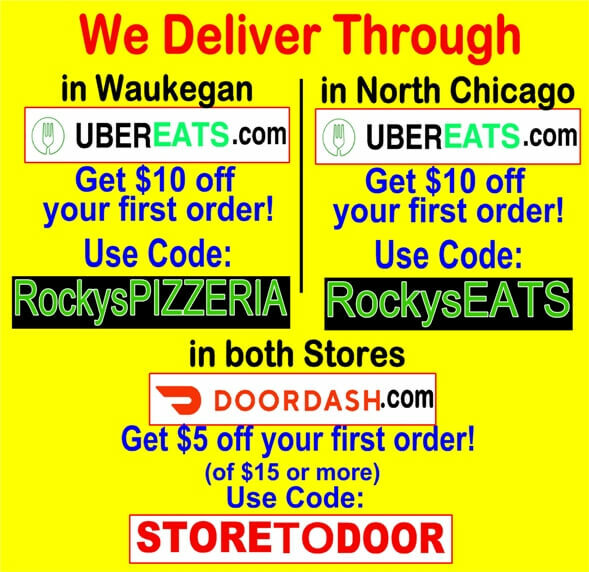 Drop in to eat, call for pick-up or have your food delivered through UberEATS. 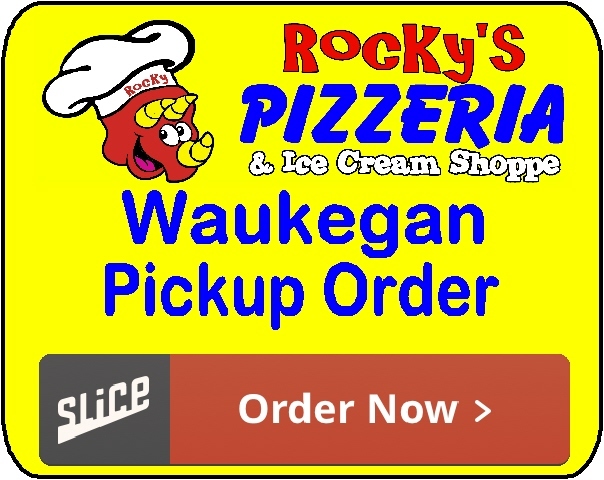 Rocky’s Pizzeria and Ice Cream Shoppe Waukegan is located inside The People’s Choice Family Fun Center at 2411 Grand Ave. Our phone number is (847) 336-5700. 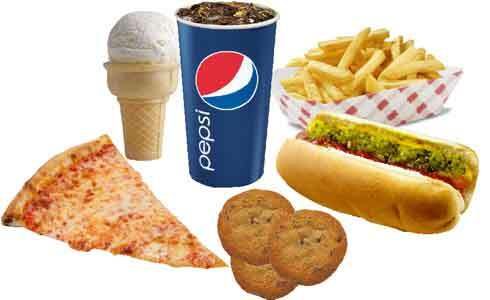 Click on the menu to enlarge it. 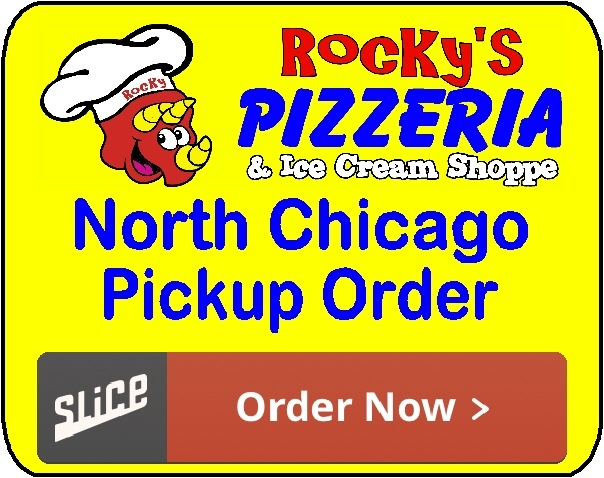 Rocky’s Pizzeria and Ice Cream Shoppe North Chicago is located at 2501 Martin Luther King Jr. Drive. Our Phone Number is (847) 672-7570. The People's Choice Entertainment, Inc.